4 Ways You Might Be Hurting Your Credit Score (And What You Can Do About It). via 4 Ways You Might Be Hurting Your Credit Score (And What You Can Do About It). * Purchase: Maximum LTV is 103.5% of appraised value when guarantee fee is financed. Refinance: Maximum LTV is 101% of appraised value when guarantee fee is financed. Rate & Term refinancing is available on current RHS loans only. Calculation of the Guarantee Fee: The Guarantee Fee may be calculated in two ways depending on whether the fee will be financed. Transaction Type Guarantee Fee Not Financed Guarantee Fee Financed Purchase Transactions Multiply the loan amount by 3.50% and round to the nearest cent. Example: $100,000 x .035 = $3,500. The fee is calculated as follows: 1. Divide the base loan amount by .965 and round to the nearest cent. 2. Multiply that number by .035 (3.50%) and round to the nearest cent. Example: $100,000 ÷ .965 = $103,626.943005 (rounded to $103,626.94). $103,626.94 x .035 = $3,626.9429 (rounded to $3,626.94). Rate and Term Refinances Multiply the loan amount by 1.00%. Example: $100,000 x .01 = $1,000. Follow steps 1 and 2 above, substituting 99 for .965 and .01 for .035. Example: $100,000 ÷ .99 = $101,010.10. $101,010.10 x .01 = $1,010.10. Refinance transactions must comply with the following requirements: REFINANCE REQUIREMENTS • The interest rate cannot exceed the interest rate of the existing loan. • The loan security must include the same property as the original loan. The security property must be owner-occupied as the borrower’s primary residence. • Maximum loan amount cannot exceed the balance of the loan being refinanced, plus the guarantee fee and reasonable and customary closing costs (including funds necessary to establish a new tax and insurance escrow account). Subordinate financing, such as home equity lines of credit and down payment assistance “silent” seconds, cannot be included in the new loan amount. Unpaid fees, such as late fees due the servicer, cannot be included in the new loan amount. • Any existing secondary financing must be subordinate to the first lien. • Cash-out is not allowed. • HUD-1 cannot reflect cash back to the borrower except for items prepared by the borrower outside of closing. The rural Housing Service (RHS) program provides very-low-, low- and moderate-income rural resident with better access to affordable housing finance options with little or no down payment or out-of-pocket costs. Borrowers may obtain a loan to purchase a new or existing home that is located in a designated rural area. A rural community generally has a population of 10,000 or less; however, a community with a population of 20,000 or less can be considered “rural” if it is located outside a metropolitan statistical area (MSA). To be eligible for RHS assistance, borrowers must lack sufficient resources (for example, borrower is unable to secure the necessary down payment which is generally 20%, to obtain conventional financing without RHS guarantee assistance). Guidelines for the program follow. • Borrowers may have only one residence. Borrowers may be the current owner of a structurally sound, functionally adequate house, as long as it is sold prior to or concurrently with the purchase of the new home. • Borrowers must lack sufficient resources (for example, borrower is unable to secure the necessary down payment which is generally 20%, to obtain conventional financing without RHS guarantee assistance). • Borrowers must have a valid Social Security Number. • Borrower may be a permanent or non-permanent resident alien. Refer to the Underwriting Guide for details. • Title must be in individual names only. 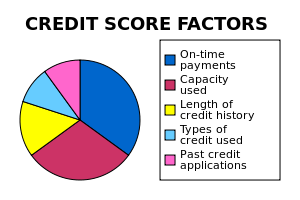 • All borrowers must be screened using CAIVRS (Credit Alert Interactive Voice Response System) to determine if an applicant is delinquent on a federal loan. Prepayment Penalty Option is not available. The LTV is based on the appraised value. Minimum 80.01% LTV is required on all purchase transactions. The minimum loan amount is $30,000. Loan limits are dictated by the applicant’s income with respect to program eligibility and loan repayment ability. The maximum loan amount is 100% of the conforming loan limit or 103.5% when the Guarantee Fee is financed. Kentucky Guaranteed Loans Offer Affordable Financing To Rural Homebuyers.